The Historical Background to the Manufacture and Distribution of the Campaign Medals for WWII. Sir Ian Fraser M.P. was concerned about the lack of information and on December 1st 1947 asked questions in the House of Commons. are being taken to expedite delivery of these awards. Secretary about this whole subject, because I think it is of some interest to some seven to eight million people. We must know just where we stand. Service Medal of silver—I think it was made of the ordinary coinage silver, which is 92 per cent. pure silver. The Victory Medal was made of a gilding metal 80 per cent, copper and 20 per cent. silver coinage, and therefore must have the few tons of silver which would be necessary. two and a half years after the 1914–1918 war. After the 1914–1918 war, the medals were made at the Royal Arsenal factories and by private firms, and I want to ask who is to make them now? questions I wish to ask. suggest to people that they should leave off their medals for any reason; and it seems to me to be a pity to disappoint the younger men by keeping them waiting unduly long for their medals. by next Remembrance Day, instead of waiting until the end of the year before distribution begins? their service and to speak well of the Armed Forces, and it may do something to liven up an otherwise drab and dreary world." immediately, and the War Medal as soon as possible. needed would be far in excess of our resources. 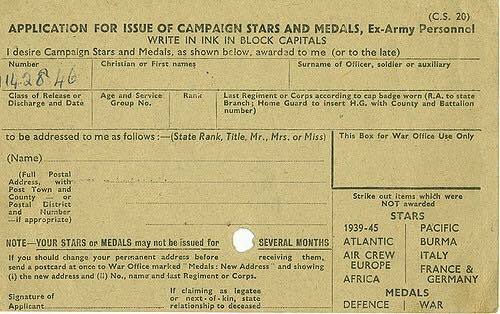 has seen photographs of the Campaign Stars, for these appeared in most national newspapers in March, 1946. Photographs of the Defence Medal appeared in some newspapers in August this year. The War Medal, as I said earlier, has not yet been finally approved. I expect that approval very shortly, and, of course, photographs will be available for publication." war veterans to apply for the medals using a postcard available at the Post Office. These cards were stocked in Post Offices from Monday 31st May 1948.
money on a single form. General Shipping and Seamen. Arrangements for the Navy will be announced later". great, though perhaps not great enough, seeing that we had to take arms again 21 years later. But where the civilisation? Northerner II. In July 1949 the Daily Mirror had a point to make about the campaign medals in its "Live Letters" section. economy which is a damned insult to the men who won them, and a disgrace to the Government which so ordained it. Nobody wants the bits of anonymous iron". "UNCLAIMED MEDALS 1,000,000 R.A.F. Decorations. More than 1,000,000 campaign stars and medals awarded to wartime members of the R.A.F. still await claimants, it was revealed yesterday. was only provisional. In cases where qualifications were involved it was sometimes found that the provisional assessment was incorrect and all such cases are being carefully examined." ex-Servlcemen or their relatives. Official postcards for this purpose will be available up to 30th November in all Post Offices". what earlier claim has been made. 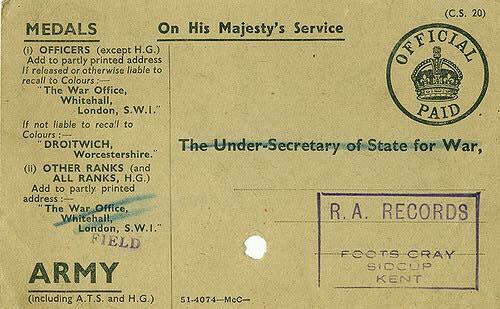 Residents outside the United Kingdom should notify their address letter to the War Office. quality groceries and provisions offered by Johnston's Stores. Benefit by a visit to your nearest banch of Johnson Stores - KINGSWAY BREAD sale at our Branches". amount of pride and pleasure, rather than with disgust. A. H. EDWARDS Coln St. Aldwyns". The press ran news items about the rate of medal claiming.The Fifeshire Advertiser ran an article in February 1950.
have not yet applied. 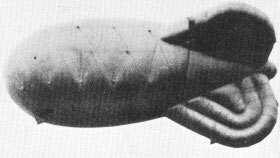 the average, officers and men the R.A.F. qualified for three campaign medals each, and so far 353,071 have applied". and war medals. Some 2,350,000 personnel have claimed and been issued with medals and some 630,000 claims are being processed. Some 3,500,000 have not claimed their stars or medals. Little was done to promote the uptake. Presumably many men literally gave up requesting their medals, my own father did not get his until the 1960's. 6,480,000 men and women who served in the Forces during the war have put in their claims. Many have not claimed their campaign stars. curtailing the cost of war medal supply. The fact that the medals were not named is also a factor in the lack of enthusiasm to apply for them, a decision that was clearly a mistake.